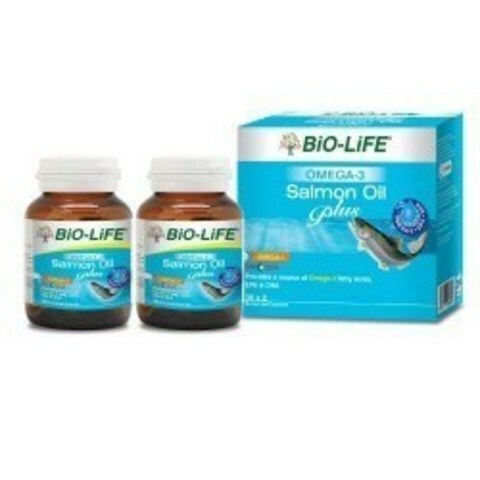 Omega-3 Salmon Oil Plus is one of the sources of omega-3 polyunsaturated fatty acids, EPA and DHA. Omega-3 polyunsaturated fatty acids play an important role in the maintenance of normal functions of a healthy body. 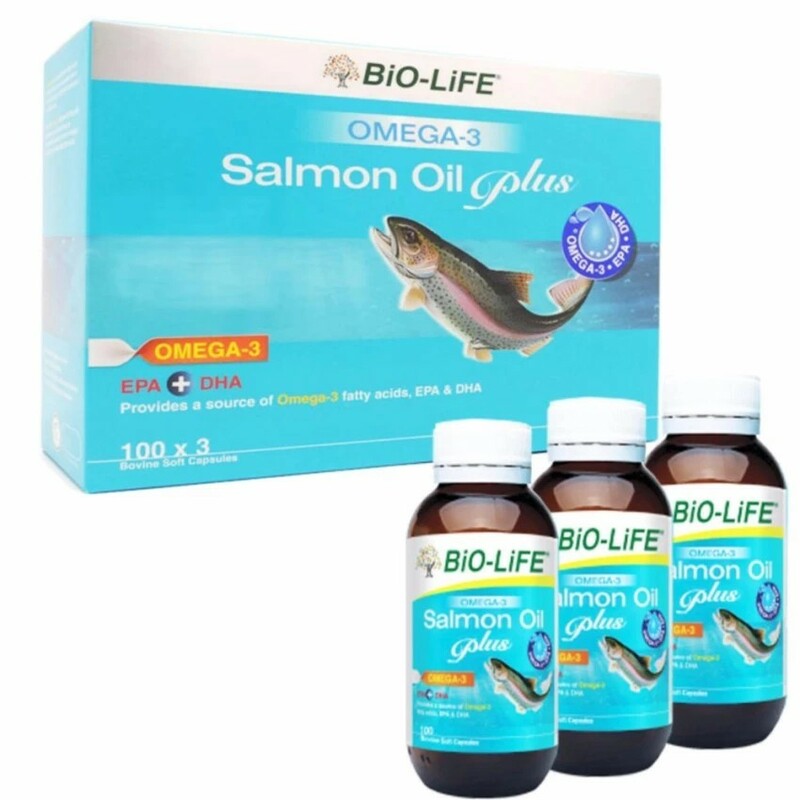 Omega-3 polyunsaturated fatty acids are also known as essential fatty acids, which cannot be produced by the body and must be obtained through the diet. Salmons are fatty fish native to cold northern waters of the world that are famous for their taste as well as nutritional benefits. The nutritious goodness of salmon is primarily concentrated in its oils which is the omega-3 fatty acids eicosapentaenoic acid (EPA) and Docosahexaenoic acid (DHA). EPA and DHA are primary indicators for heart health and have been shown to be effective at lowering elevated triglyceride levesl (a risk factor for heart disease). Regular supplementation with omega-3 fish oils have been shown to exert a protective effect on the heart by lowering the risk of fatal heart attack by 20%. EPA has anti-inflammatory properties and may be beneficial in reducing symptoms of inflammatory disorders such as rheumatoid arthritis. Who need omega 3 Salmon Oil? Take one capsule, 2 times daily with food, or as recommended by your pharmacist. 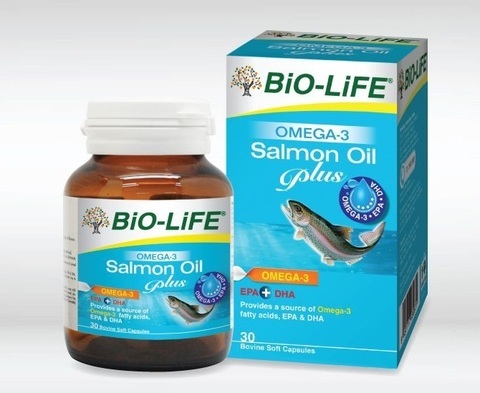 Fish oil may exert a mild blood thinning effect and could prolong bleeding time. It should be used with caution with other blood thinning agents such as warfarin, aspirin, ginkgo biloba, garlic and high doses of vitamin E.
Ready stock for 30 softgel capsules. Expiry date 9.2019. 30 capsules x2 and 100 capsules x3 are BACKORDER items.